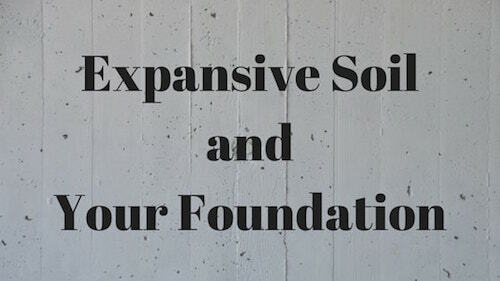 One of your foundation’s worst enemies is expansive soils. If you want to prevent costly damage to your home’s structure, controlling this kind of soil is imperative. Expansive clay soil is unique to only certain parts of the country. But it’s particularly common in the North Texas area. Expansive clay soil can negatively impact your foundation’s hardiness and could cost you a copious amount to repair. Whether you’re trying to prevent expansive soil from damaging your foundation or have repairs that need to be made, Granite Foundation Repair can help. Give us a call today and let our team of experts recommend the right foundation solutions for your property. 1. What is expansive soil? Many different types of clay soil expand and contract depending upon the amount of water. However, the degree of swelling is greatly increased with certain clay soils, in the Dallas area. 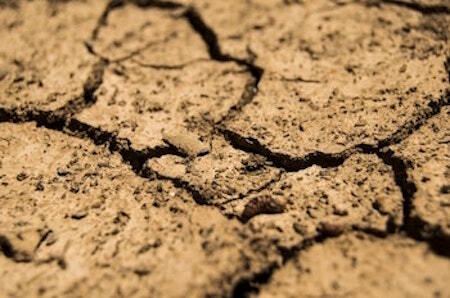 When there is little water in the soil, clay soil contracts and subsides. When there is an abundance of water, it expands and causes the ground to heave. This constant change in the soil can take a toll on your foundation, ultimately leading to foundation settlement problems. 2. How do you fix foundation damage caused by expansive clay soils? In Texas, expansive clay soil is an issue for many homeowners. Texas has extremely variable weather and temperature patterns, which leaves the soil expanding and contracting constantly. The constant expansion and contraction are what causes damage to your foundation. Based on changes in temperature and moisture, there are two things that can result: uneven drying and uneven accumulation of moisture. Any of these two can cause your home’s foundation to either heave or subside. 3. How do you repair damage caused by expansive clay soils? Based on where you live, you can predict whether your foundation is at risk of damage. Apartment complexes and single-family homes are typically prone to damage. In the Dallas – Fort Worth area, expansive clay soils are usually the main cause of foundation problems. Fortunately, we have solutions that can help fix the damage to your foundation. Granite Foundation Repair has a team of professionals who are driven, inspired, and knowledgeable about fixing foundation damage. Usually, steel reinforced concrete slabs are the best foundation design for expansive clay soils. These are commonly referred to as post-tension cable concrete slabs. 4. How can you prevent foundation problems in expansive clay soil environments? Generally, you can prevent foundation problems in expansive clay soil environments by doing two things. 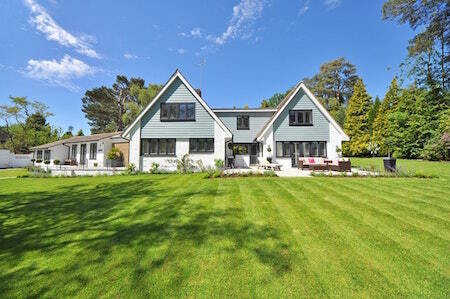 One, by opting for a sloped landscape; and two, by installing a proper drainage system. A sloped landscape can help direct rainwater away from the foundation of your home. By doing this, less water will soak into the expansive clay soil. The less the water, the less the soil expansion. An effective drainage system can also help keep water away from your home’s foundation. This will reduce the pressure on your home’s foundation when clay soils expand. This heaving pressure is what causes your foundation and thus your walls to bend and eventually crack. The foundation site should be hydrated to a depth of 12 feet and covered with plastic until construction begins. Tress should be planted no closer to the foundation than their mature height. Root barriers should be installed a minimum of 30 inches before. Steps should be taken to maintain a constant moisture level in the soil after construction. When homes are built, they should be constructed in a way that does not change the soil conditions. With established homes, watering should be performed year round. Be certain to water more on the side where the sunlight is more intense and dry. Water until soil next to foundation is moist, but not muddy. 5. What should I do if I see a crack in my foundation? Cracks in the foundation, in certain cases, are harmless. That being said, you should always seek professional help to assess when dealing with foundation issues. 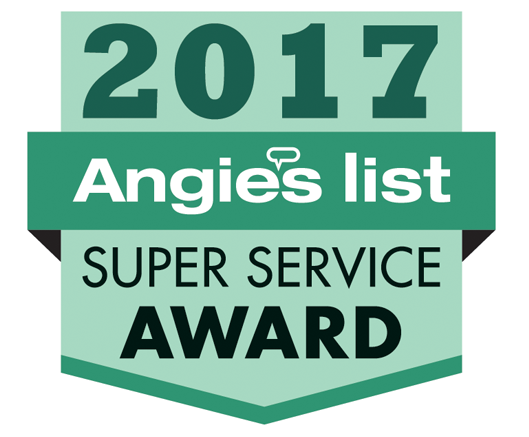 Granite Foundation Repair has a vast knowledge when it comes to fixing foundation damage for homes in the Dallas – Fort Worth area. If you notice any cracks, call us as soon as possible.